Abraham Lincoln occupies a unique place in the American pantheon. Symbol, sage, myth and martyr, he is an American icon – Honest Abe and The Great Emancipator, a Janus-faced demigod sculpted in marble. But this is the post-assassination Lincoln. During his lifetime Lincoln elicited very different reactions. 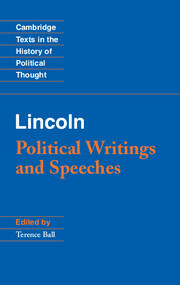 The writings and speeches presented in this scholarly edition illuminate Lincoln as a political thinker in the context of his own time and political situation. Opening with a concise yet rich introduction, the texts that follow are complete and carefully edited, with extensive annotation and footnotes to provide a clearer insight into Lincoln the man, the politician and political thinker. His views on race and slavery, on secession and civil war and on the contradiction (as his saw it) between the Declaration of Independence ('all men are created equal') and the original Constitution (which condones slavery) are laid out in Lincoln's own well-crafted words. "As a part of Cambridge Texts in the History of Political Thought, the writings and speeches contained in this annotated edition demonstrate that Abraham Lincoln was a serious political thinker - not only in the context of his own time and circumstances - but for today, too. 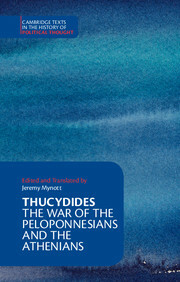 The introduction is comprehensive and the selections are carefully edited with useful extensive annotation and footnotes. They provide a better insight into Lincoln than many similar collections … This is one of the best selections of Lincoln’s writings available today and, timely too, with its publication during the sesquicentennial of the Civil War." Terence Ball is Professor of Political Science at Arizona State University. 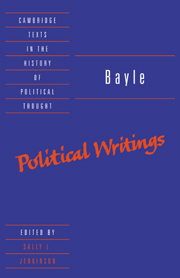 He is the author of several books, including Transforming Political Discourse (1988), Reappraising Political Theory (1995) and a mystery novel, Rousseau's Ghost (1998), and is coeditor (with Richard Bellamy) of The Cambridge History of Twentieth-Century Political Thought, among other works. 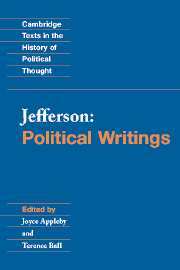 He has previously edited The Federalist and coedited (with Joyce Appleby) Jefferson: Political Writings for the Cambridge Texts series.